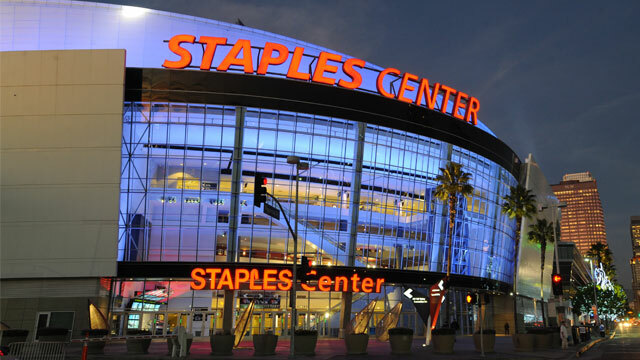 Since moving to Los Angeles in 1985, the Los Angeles Clippers have only had a better record than the Los Angeles Lakers just three times. In 1992-93, 41-41 compared to the Lakers 39-43, in 2004-05, 37-45 compared to the Lakers 34-48, and in 2005-06, 47-35 compared to the Lakers 45-37. Other than that the Lakers have just out played the Clippers proving that Los Angeles was and is their city. Since moving to Los Angeles the Lakers have won eight championships, 12 conference titles, and 13 division titles and on Thursday December 8thit looked like they were going to do all three of those once again. News broke in the evening time over all different media outlets that the Lakers had acquired guard Chris Paul from the New Orleans Hornets in a three team trade. The deal was the Lakers were receiving Chris Paul, the Houston Rockets were receiving Lakers forward Pau Gasol, and the Hornets were receiving Rockets guard Kevin Martin, Rockets forward Luis Scola, Lakers forward Lamar Odom, and a Houston Rockets first round draft pick. Predictions started saying that the Lakers were going to win the west, that the Lakers were going to repeat, and that the Lakers were once again the best. However these predictions, new faces in new places, and new look teams would come to an end as news would later break that commissioner David Stern would veto the trade. Analysts, reporters, fans, and even players were livid about Stern’s decision to veto the trade so much that Chris Paul threatened to sue the NBA. Though after reality set in and hours passed of Chris Paul not going to the Lakers and this trade no longer going through, teams and owners started talking again. However this time it wasn’t the Lakers as they decided to pull out after forward Lamar Odom demanded a trade and because the league was asking too much for Paul. So as a result to the veto Odom would get his demand and would be sent to the Dallas Mavericks for $8.9 million in trade exception, as well as a protected first-round pick. 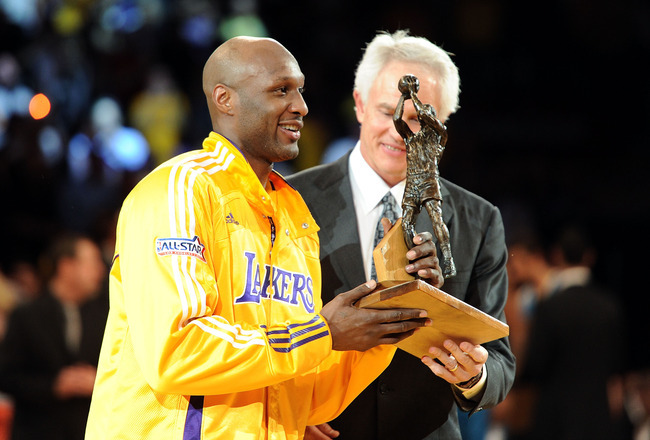 The reason for the trade was that Odom felt “disgusted” that Lakers were trading him to begin in the first place. Then about a week later after trading for Chris Paul appeared to be dead due to Stern’s high asking cost, the Los Angeles Clippers and the New Orleans Hornets would agree to terms to send Paul to the Clippers. The deal would send Paul and two future second round picks to the Clippers in exchange to guard Eric Gordon forward Al-Farouq Aminu, center Chris Kaman, and Minnesota’s unprotected first round pick. With the acquisition of Paul this seemed like the final step to the recipe of success to beating the Lakers and being the kings of Los Angeles. It all started right after the lockout ended when the Clippers signed forward Caron Butler to a three year deal, then matched the Golden State Warriors offer to re-sign forward DeAndre Jordan, and then of course traded Gordon, Aminu, Kaman and Minnesota’s unprotected first round pick to the Hornets for Paul. Those transactions put the Clippers back on the map as far as one of the NBA’s top competitors but it especially put them in an unfamiliar place, a place that they have only been three times; a chance to be better than the Los Angeles Lakers. Come back on Saturday to see the breakdown between the Clippers and the Lakers of the Battle of Los Angeles Part Two.